Meet Isabel and Tar, Our Latest Gift-Card Giveaway Winners! Isabel and Tar live an active outdoor life together. We’re happy to announce our recent $500 Orvis Gift Card giveaway winner! Congratulations to Isabel Moran of Statesboro, Georgia, and her beautiful Black Lab, Tar. Of her dog, Isabel. . . Photos: The Brown Drakes Are Here! The author with a feisty, hard-fighting brown trout. The craze at Silver Creek surrounding the famous brown-drake hatch has begun. Although there are many fantastic aquatic insect hatches in the West, the brown drake is hard to beat, and. . . Welcome to our latest edition of the Orvis News Friday Fly-Fishing Film Festival, featuring the best videos from around the world. This week, we have sixteen videos from such diverse, exotic. . .
Mollie and Spur share an active outdoor life. Here’s the latest video by my talented daughter, Kacey Klonsky, as part of her “Unconditional Stories” series. Mollie adopted 13 year old Alaskan sled dog Spur from Debbie Moderow of. . .
I’d be all smiles, too, if I’d landed a fat brownie like that! My son, Kevin, and I got out one long weekend in May for our yearly father-and son-fishing trip. We went up to Duck Mountain Provincial Park and had some really good fishing, even though. . . The outbreak of a dangerous new strain of canine flu, which started in the Chicago area, has been spreading across the country in the past few weeks. Texas was the first state outside the. . . 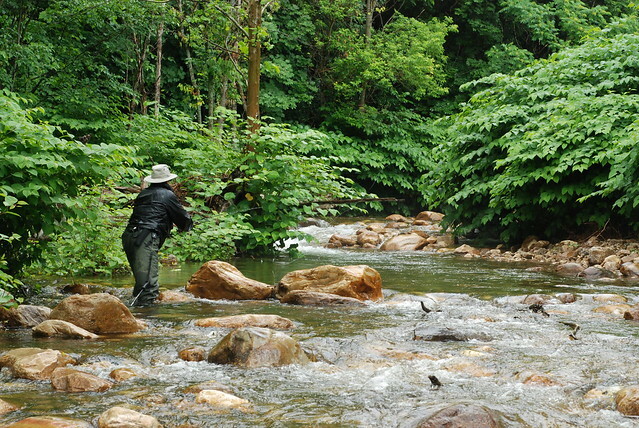 Welcome to another edition of our trivia challenge, where we test your knowledge of all things fly fishing and where you might learn a thing or two about this sport we love. This week, we’ve got. . .
That’s a healthy rainbow trout from a country not known for its fly-fishing culture. At the end of last summer, we posted about fly fishing in the mountains of Iran (see Part I and Part II). This morning, our new Persian friend, Naser Derakhshan of Fly Fishing Club Shahrekord, . . .